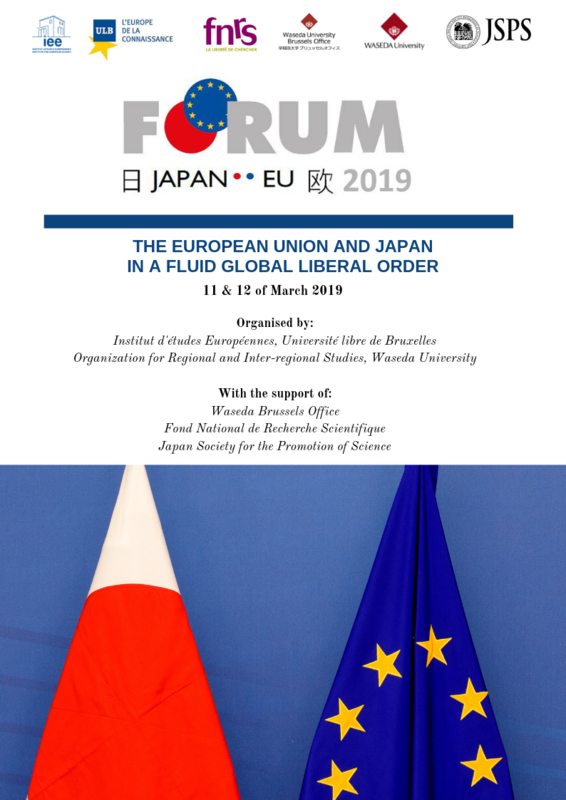 The Institue for European Studies of the Université libre de Bruxelles (ULB-IEE) is proud to host the 21st annual EUJapan Forum. Launched one year after the 1992 ‘The Hague Declaration’ institutionalising the EU-Japan partnership, this series of academic gatherings the ULB-IEE has consitently organised for over two decades has emerged as one of the primary venues for academic debates on the EU-Japanese partnership. The two-day Forum will involve some 24 EU-based scholars from 7 European universities and 23 Japanese scholars from 6 Japanese universities. Overall, the debates at the Forum will reflect the associated projects’ three theoretical research groups, as well as its four transversal case studies. The event will involve :(1) 8 topical panels, (2) 2 PhD workshops, (3) 1 policy forum, (4) and a public keynote. Ultimately, discussions at the Forum are expected to lead to a series of joint publications over the course of the coming years. Several members of the European Law Center will participate in this forum, especially Emmanuelle Bribosia, Anne Weyembergh, Irene Wieczorek and Céline Cocq.